Stocky's EuroStocks™ SuperMatch SoftTouch™ is a smooth, soft-to-touch, yet very durable finish applied over hardwood. 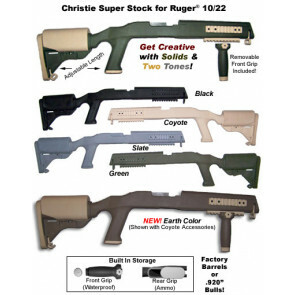 The updated Stocky's® 10/22® Classic II Rimfire Stock are CNC Machined from the finest premium laminated hardwoods. These beauties are hand sanded and generously layered with an upgraded postcatylized finish in a 28 satin finish and laser engraved with an attractive and functional checkering. Listen, and understand. 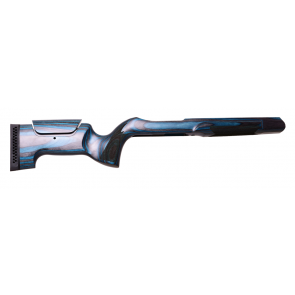 Now you can have your own Terminator Ruger® 10/22® drop-in gunstock, made exclusively for .920" target barrels. An ambidextrous design that works equally well for right and left handed shooters. 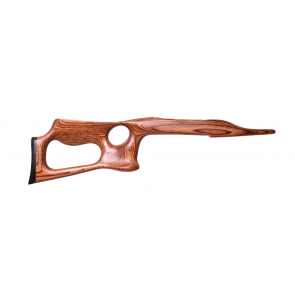 Adult size thumbhole .920" bull barrel channel target stocks for the Ruger 10/22. 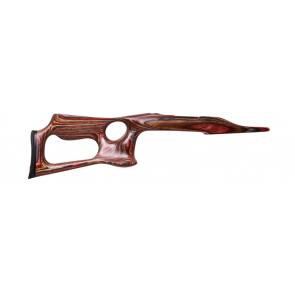 Stocky's® Stinger Thumbhole Stock is a racy design that enhances stability while reducing weight. They're way nicer that those old, outdated versions. Fits any barrel. 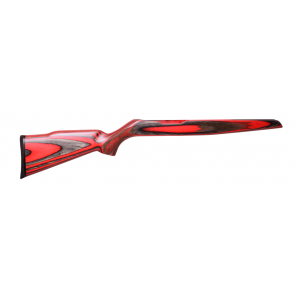 This stock is for the Ruger® 10/22® with the .920 bull barrel. It is in the Cobalt Blue with the satin finish. It has a small ding on the forend so that is why it is being discounted. This stock is in the Brandy color with a satin finish. Backed by Christie Enterprises' LIFETIME GUARANTEE!